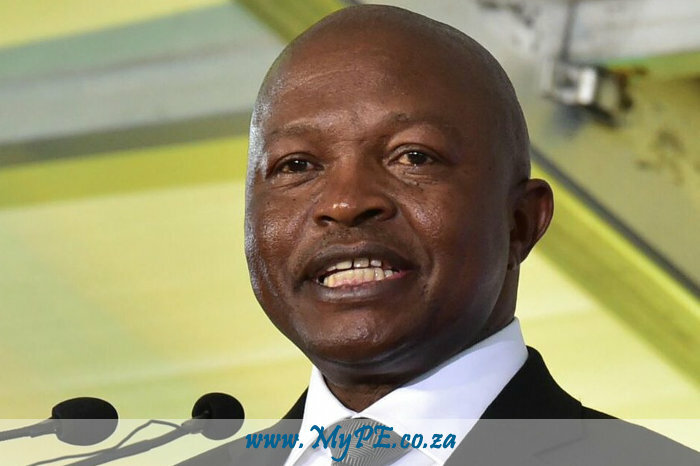 David Dabede Mabuza was appointed as Deputy President of the Republic of South Africa on 27 February 2018. He was the Premier of Mpumalanga Provincial Government from 6 May 2009 until 26 February 2018. He has been a member of ANC National Executive Committee since 2007. Today is a day with so much significance for us as a country, a day that is also observed internationally as birthday of the founding father of our democratic South Africa. Had President Mandela been blessed with more years, he would have turned 100 years of age today. We therefore meet and do something of importance on this day, as a tribute to this international icon. The whole world joins us in this celebration following the declaration by the United Nations of this day as the Nelson Mandela International Day. As you may well know Madiba’s centenary year coincides with that of Mama Albertina Sisulu. Today we celebrate the centenary of Tata Mandela under the broad theme “Be the legacy” and later this year in October, we will celebrate Mama Sisulu’s under the theme “A woman of fortitude”. Both these giants of our liberation movement lived a life chronicled by nothing but absolute dedication to the struggle for freedom of the oppressed and all humanity. This betterment covered all facets of life like education, taking care of the elderly especially the vulnerable, and ensuring that all have access to decent shelter and enjoyment of security. As we celebrate the life and times of Madiba, we draw inspiration from his vision on development of our children. Just this morning, we spent time with the learners of Nganana High School which is one of the high performing school in the area, but that is faced with substance abuse. “young people must take it upon themselves to ensure that they receive the highest education possible so that they can represent us well in future as future leaders”. Just as Madiba was concerned about education of our children, equally he was concerned about the well-being of the elderly. He fully appreciated the social development challenges of our nation, which produced within itself, orphans and child headed households. In most cases, children from such households are taken care of by their elderly parents who are mostly pensioners. This morning, we spent time with the elderly of Amsterdam, and thanked them for keeping our communities together in the face of many prevailing social ills. Today as we gather here, we do so under the theme “Renewing the Mandela & Sisulu legacy and encouraging active citizenry in Gert Sibande District Municipality”. It is common cause that as a country we will always exalt the lives of our struggle heroes and heroines, and we will do so by extolling the values for which they dedicated their lives. This is more so with paragons of a virtuous life such as Mandela and Sisulu. They together with their generation in more ways than one represented our complete hope for a better society. President Mandela in his autobiography, Long Walk to Freedom asserts that from those early years of struggle, “Walter’s house in Orlando was a mecca for activists and ANC members”. He says: “It was a warm and welcoming place”. And he goes on to say that Mama Sisulu “was a wise and wonderful presence, and a strong supporter of Walter’s political work”. If there was ever a way to demonstrate our abiding commitment to the legacy of these leaders, especially that of President Mandela, no better way will be more appropriate than continuing the struggle he committed his life. This is a struggle to see the total economic emancipation of our people. Equally, Madiba believed in the liberation and advancement of women. We can speak with certainty that he looks down on us with that radiating smile as he sees the notable advances we are making in the advancement of the interests and rights of women. However, the continuing killings and violence against women makes a mockery of what Madiba stood for. Women are callously and violently abused and murdered by people that have in the past been romantically involved with. This is indeed a betrayal of the highest order. As a society we must condemn with all contempt it deserves, and must take the dimmest view on such actions. From the life of Madiba, we learn of his amazing ability to harness everyones energies and abilities behind the vision of a better South Africa. As we work towards renewing his legacy, we are encouraged by the active citizenship that is re-emerging in our country as our people take various initiatives of building a South Africa of our dreams. Today, the launch of the innovative Mobile Application by the Office of the Premier of this province is revolutionary. It not only promises to strengthen responsiveness and accountability of those in public office, but it deepens public participation. The name chosen, which is Satise Silalele, is befitting to the spirit of responsive government. It is through such initiatives that government works with the people it represents in making their life better. “What counts in life is not the mere fact that we have lived. It is what difference we have made to the lives of others that will determine the significance of the life we lead”. This is indeed consistent with the clarion call of Thuma Mina made by the President of the Republic, Cyril Ramaphosa. This is a call to all South African to lend a hand and contribute in making South Africa a better place for all. In essence this call is to all of us who possess particular skills and abilities to avail them in the service of our country. In response to this call, we hope our society will be mobilised into action. The building of a South Africa of our dreams will not be possible without active participation by all of us. In essence, we must take charge of our future and must act as agents of change in all human endeavors. This citizenship is one that understands that during a service delivery protest it is self-defeating to burn down schools, government buildings or any public properties as a mechanism to express grievances, no matter how genuine they may be. Active and responsible citizenry will appreciate that such acts are indeed self defeating particularly when at times they violate the very right of children of school going age to attend. An active citizenry will acknowledge that the onus to make South Africa better, does not only lie with elected leadership, but with all South Africans from all corners of our country. As I conclude let me say we indeed remain grateful to President Nelson Mandela who endured a far greater personal loss for the realisation of a liberated South Africa. Through our words and deeds, we will continue working towards a South Africa of his dreams. This is a society where we must achieve radical transformation that will address unemployment, poverty and inequality that continue to plague our country. To build this society land reform and redistribution is key to genuine national unity. Coincidentally, as we celebrate the centenary of these icons, our country is engaged in a process that will see the return of the land to the people from whom it was taken. This we will do precisely because we need to heal the divisions of the past. We must attend to the original sin of land dispossession of the black majority. To truly unite all South Africans we must give effect to all the clauses of the Freedom Charter. We must share the land among all our people. The people must all share in the wealth of this country. In pursuit of the ideals of the Freedom Charter, we must bring to life the resolutions on radical socio-economic transformation. Through our deeds, we must be a caring society. We must take care of the poor and the indigent of our communities. For those who have no access to basic necessities, we must reach out and lend a hand. For those who have no decent shelter and live in indignity, we must work hard to reach out and lend a hand to bring them dignity. In true spirit and values of Madiba, we are pleased that earlier today we handed over houses to seven families that previously had no decent shelter over their heads. This has been made possible through a partnership between ourselves and the private sector. To Standard Bank and other local business people who availed their resources for this good course, we express profound words of gratitude. Today through these celebration we recommit to renewal of the legacy of Tata Nelson Mandela and Mama Albertina. Their unwavering ability to be empathetic with the ordinary people, indeed makes a case that these were exceptional human beings. We vow to never betray the struggle to which they committed their lives to, till the very end.